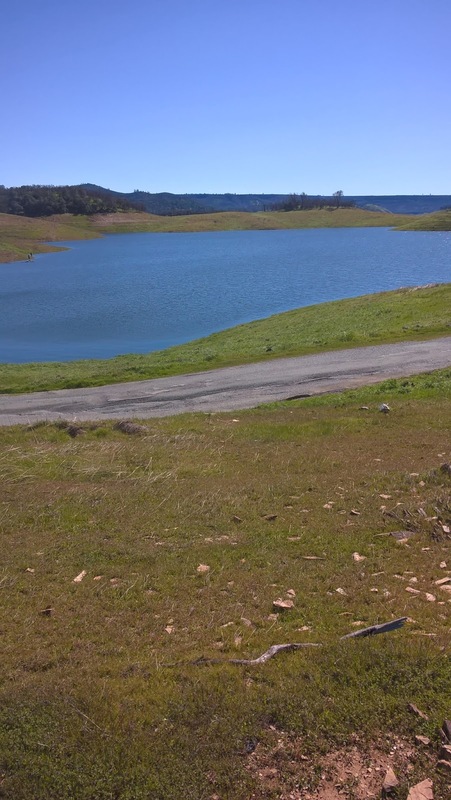 Yuki and I decided to run out to New Melones Reservoir on Monday. First we tried the Highway 49 bridge. A little contrast in water amounts. I first fished the road. 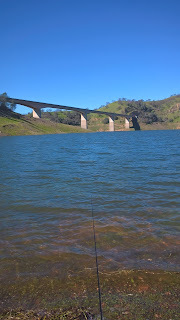 It was only about a foot deep out as far as I could cast so we moved out to a point. The water was deeper, but there weren't any fish to be found. Then the wind picked up and blowing across that cold water into our face, it became miserable to fish. Since Tuttletown was close we decided to go over there. The road to the bottom launch ramp was blocked off probably because some idiot would drive down there and run his car/truck into the lake. We parked at the middle ramp, but the hike down to water would have way too hard for a couple of Geezers. So we went to the Mexican Restaurant and had lunch. We're going to try Middle Bar Bridge the next time. 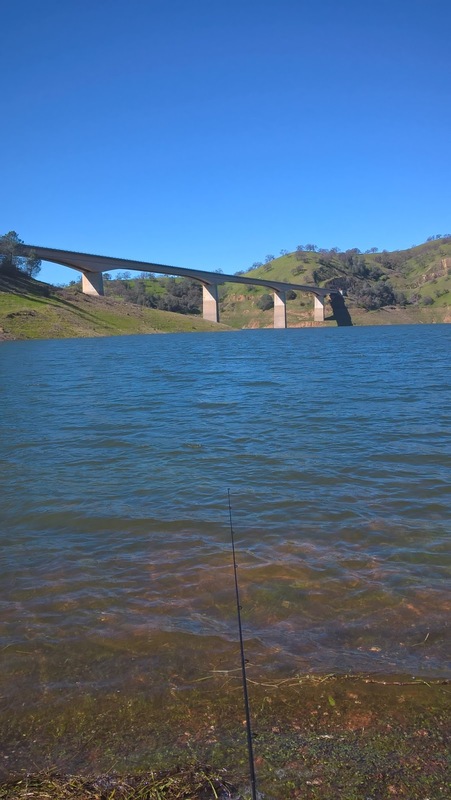 The Mokelumne River has slowed down considerably. Better late than never. 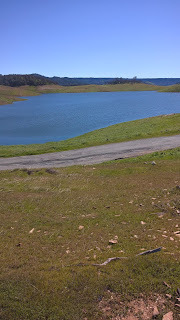 Good to see ample water...... Now all you have to do is find some fish! Spring and summer can't get here faster enough!!! I find those lakes so pretty. You're a lucky man Mark. Pretty scenery too bad about the fishing. Did lunch make up for it?